Also for this year the wines of Cantine Vedova have been included in Book 2019 of 5 StarWines. 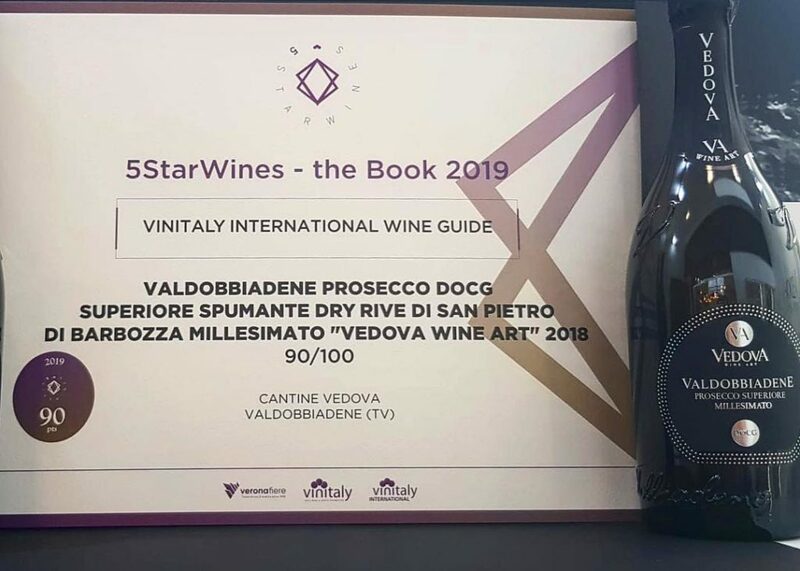 With a score of 90/100, the Valdobbiadene Prosecco DOCG Superiore Spumante Dry Rive of San Pietro di Barbozza Millesimato “Vedova Wine Art” 2018 won a place in the international guide of Vinitaly wines. 5StarWines is a three-day event in which a jury of professionals of the sector tastes different types of wines and, through a vote in hundredths, determines a selection to be included in the 5StarWines guide. This competition is dedicated to all the wineries, which like Cantine Vedova, invest in improving the quality of their products.